Marian seems to find herself in a cold mess. She goes under a spell that is quite icy. It ultimately will kill her and freeze her heart. The Storybrooke residents are upset, and blame this on Elsa. No one knows that a women who runs the ice cream parlor in town has the same powers as Elsa. She is trying to frame Elsa. This puts Elsa in more of a challenge to find her sister. However, Emma and David are on the mission. During their search for Anna, they run into a former Merry Men member. His name is Will Scarlett. He was in the middle of rummaging through Robin Hood’s tent when they discovered him. While this is all happening, Regina and Henry are forming their family bond. They are on the search to find who the author of the fairy tale book is. On the other side of town, Mary Margaret is dealing with the town as Mayor. She is having trouble balancing her duties as a leader and his new motherhood status to the young Prince Neal. As for Mr. Gold, Hook believes that he never gave the dagger to Belle. 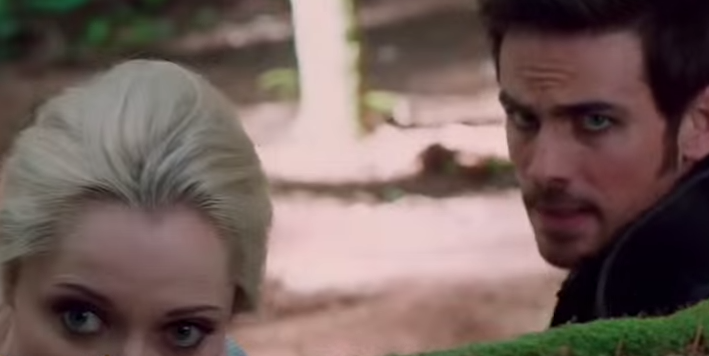 Elsa and Kristoff are concerned about Anna. However, they have to deal with Hans. Hans is trying to take control of the kingdom. See a sneak peak of Rocky Road here. Sunday, October 12, 2014, Rocky Road airs at 8 p.m. ET on ABC.